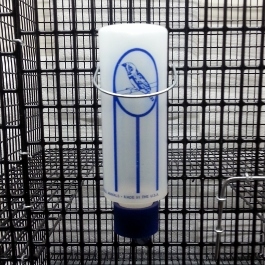 This cage has been serving Sugar Gliders for over 20 years. 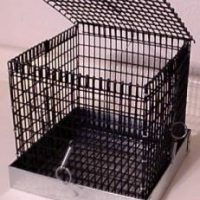 I designed this cage and started selling it over 20 years ago and there are many happy Sugar Gliders that have called it home for many years. Others in the industry have copied it and it is now ubiquitous, and for good reason. 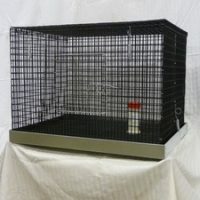 Gliders love it and it fits in with most homeowners spaces. 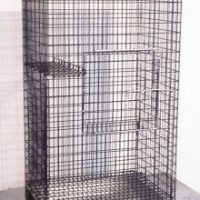 It is the GO-TO cage for bonding with a new Sugar Glider. It is small enough to allow easy access to your new glider, but big enough that they can have toys, wheels, etc. and plenty of room to play. 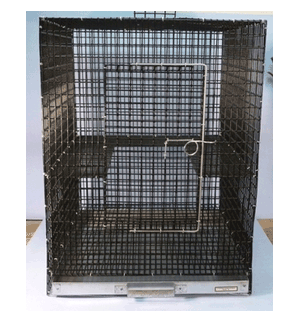 In addition to the fact that gliders must have a PVC coated wire cage, the beauty of a PVC coated wire cage is that the wire never wears out. 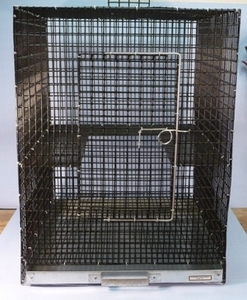 It can be 5-10 years old and the wire will still clean up like new when pressure washed. The pans can eventually wear out, but they are replaceable.